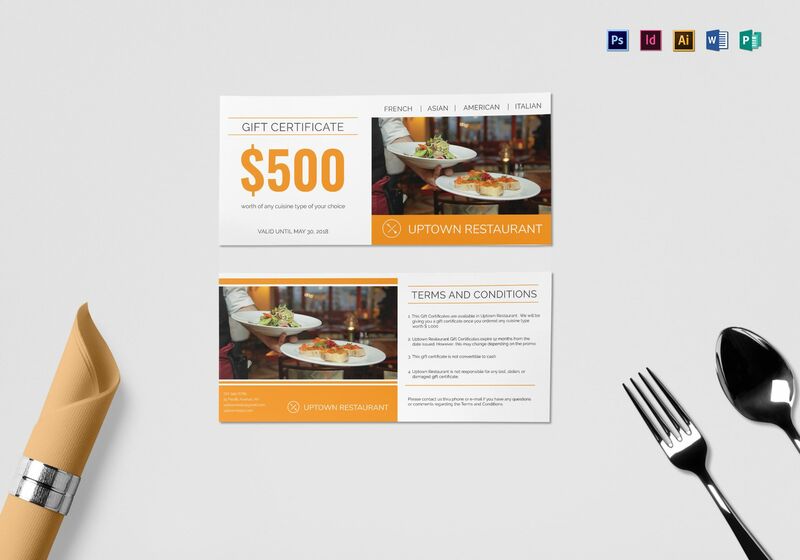 A professionally designed restaurant gift certificate template that is top-class, perfect for your restaurant. 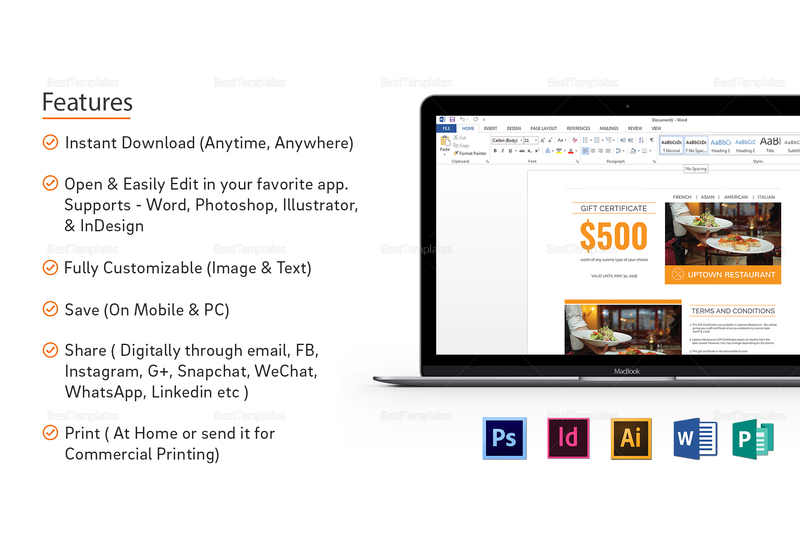 Easy to edit and customize with all versions of Photoshop, InDesign, Illustrator, MS Word, and Publisher. This well layered template uses a CMYK color space with a 300 DPI resolution. Instant download anytime, anywhere, at an affordable price.